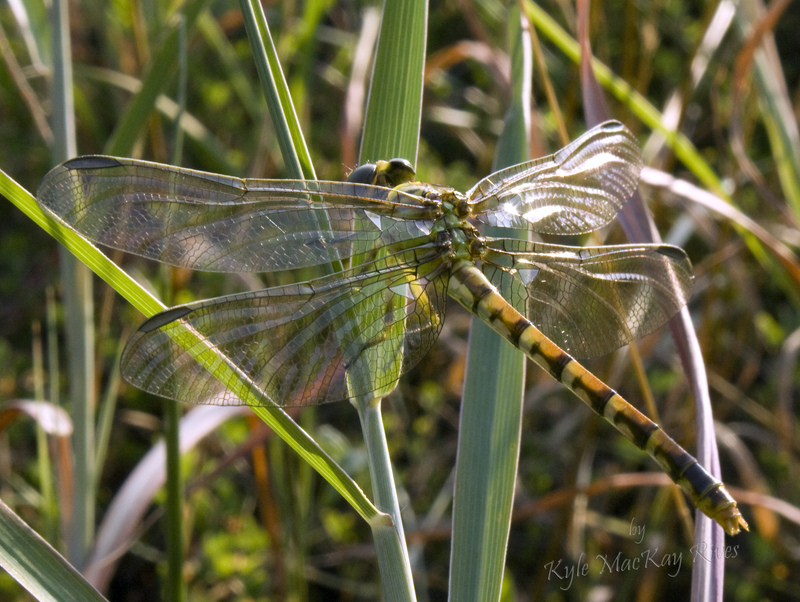 In another flashback to Summer of 2011, we see a perfect jewel of a dragonfly reflecting light off his (her?) faceted wings, its translucent abdomen glowing green, orange, and black. Even at rest it looks in motion with iridescent gleams of light flashing off the far wing. This entry was posted in afternoon flashback, photography and tagged dragonfly, insect, photo, Photograph, Photography, summer 2011.